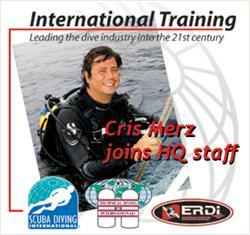 SDI/TDI/ERDI is pleased to announce the hiring of Cris Merz to the position of Sales and Marketing Coordinator. Due to the substantial growth SDI/TDI/ERDI has seen in the recent months, it was with great pleasure the World HQ had to once again expand its staff to assist with the increased growth. Cris will be the liaison between International Training’s management group and the organization’s North American sales team. He will also spearhead the implementation of promotional and marketing initiatives for new products and services to SDI, TDI and ERDI customers in North American and the Caribbean, and take over responsibilities for day-to-day advertising sales and special events for the fastest growing new publication, Diving Adventure Magazine. For more information about SDI/TDI/ERDI visit www.tdisdi.com, email worldhq@tdisdi.com or call 207 729-4201. 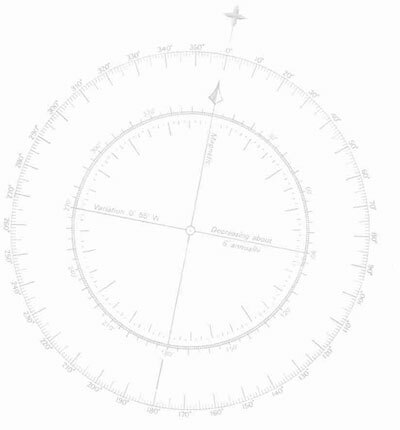 To contact Cris Merz email Cris.Merz@tdisdi.com.